Happy to announce that Stupefying Stories has accepted my dystopian scifi short story, Blue Stripped, for their publication – they are a good group and consequently this means a great deal to me. Also, this story, among only 2 or 3, has special meaning for me. Like all avid scifi readers, I heard of Bacigalupi’s Hugo and Nebula award-winning novel, and I certainly wanted to read it. I fairly recently read a great short story of his previously, ‘Pop Squad’, in Brave New Worlds (a very well written, disturbing dystopian story), and I wanted to read more of him. The Windup Girl is one of the best novels of any genre I have read, in many years. It deserves its Hugo and Nebula awards, as it is a masterpiece of futuristic world building, within the confines of Earth’s future. It’s characters are sensitively portrayed in detail, and the plot is intricate, surprising in its turns, and penetrating in theme. It is what any aspiring speculative fiction writer wants to achieve. It is a benchmark, a masterpiece. I don’t use superlatives like these too often. The novel is that good. Perhaps the only criticism I can lay before you – and it is more a case of personal taste than a technicality – is that I am not overly enamored of the third person, present tense POV for works of any substantial length. It took me quite a while to avoid the distraction of this less-than comfortable style of writing (albeit, I accept that it was useful for enhancing the immediacy of the tension of the tenor of the novel). Even in Bacigalupi’s case, I don’t necessarily think pros outweighed the cons with regard to this matter. Given the mastery of the writing, plot, characterization and themes, this criticism is a small matter. The world building astonishes me. As I hinted above, Bacigalupi creates a future society within the context of a future Earth, but transformed beyond expectation. Genetics is the keystone of what technically (and culturally) drives society, in a backdrop of an energy-starved population. It smack of truth, given the inroads in genetics and the Monsantos of this world. It also smacks of truth with current issues with regard to environmentalism. What makes this particular powerful, however, is representing this future world in the microcosm of a future Thailand. This was masterful, and Bacigalupi clearly researched this part of the world meticulously. I use the term ‘microcosm’ lightly, because it turns out that this future Thailand is a special place, unique and more than just a representative of humanity-to-come – it is in many ways the center of humanity’s universe. Bacigalupi paints his characters well, and not a single one of them is just noble and righteous. They are all flawed, due to the circumstances of their lives, and because, quite simply, they are human. Even the New People. The key characters, Anderson, Hock Seng, Kanya, Jaidee, and The Windup Girl (Emiko), are expertly drawn and attract reader empathy, and yet are scrutinized for their frailties, whether they were self-constructed or were thrust upon them. Anyone with a predilection for speculative fiction, and particularly dystopian themes, will be immersed in The Windup Girl, and will want to read more. If you have discomfort with the Third Person, Present Tense POV style, try hard to ignore it – it’s still well worth it. Wow. Where do I start? 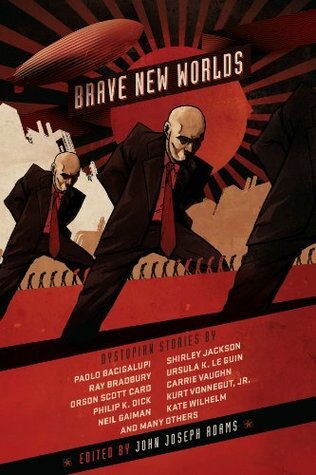 30 of most of the best dystopian short fiction in the English speaking world’s history. Nothing less. 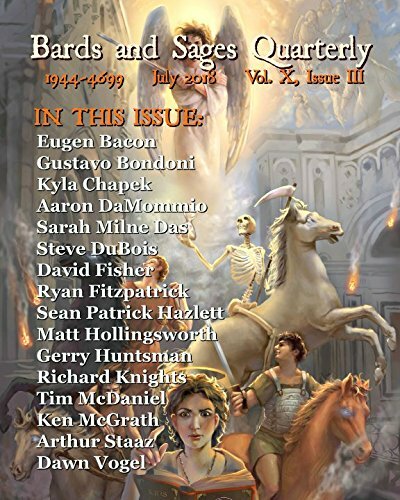 I normally like to review each story (or the key stories) in anthologies, but this is difficult for 30 of them, spanning nearly 500 close-printed pages. Also, I feel inadequate to comment on specific stories that are now legendary. The worst stories were still very good. The best are unmatched. Pure and simple. These stories were more than entertaining, they were thought provoking and challenging. I haven’t been intellectually challenged like this for years. If there is any negative statement – and it isn’t really a deficit, more of a warning, is that reading them straight through is being inundated with (largely) depressing situations for humanity, and notably, the protagonists in the stories. It could dampen one’s spirit, while at the same time lift awareness. Fortunately this is a temporary phenomenon, but tangible indeed. Bravo to the publisher and the stellar editor – this anthology lives up to it’s industry reputation of greatness. If you haven’t read it, and you like dystopian stories, just read it. Do yourself a huge favour.